Home Fitness Technology Advice Should I buy a cut price Microsoft Surface RT? 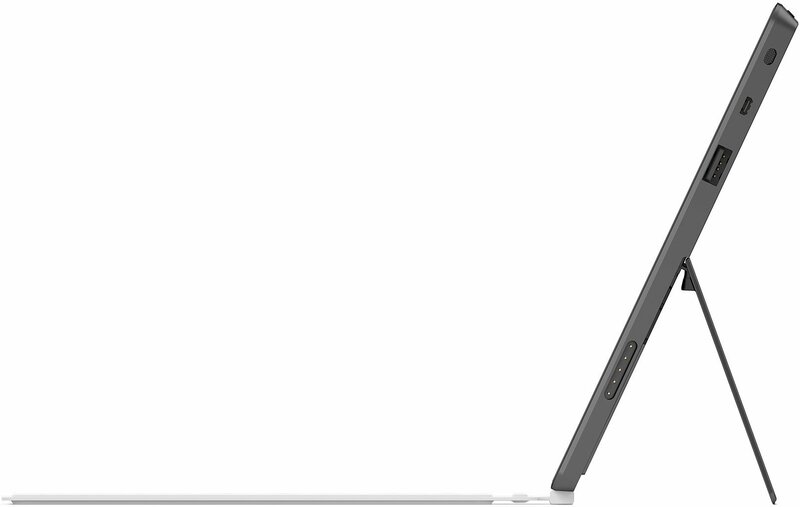 Last weekend, Microsoft slashed the price of their flagship tablet, the Surface RT by 30%. This prompted a number of questions to be sent in to us about this offer, with the most popular being “should I buy the reduced price Microsoft Surface RT tablet?” Post-Price cut, you can now buy the 32GB model for $349, but with its paltry level of native third party apps and no bundled keyboard, Microsoft’s tablet still represents a bad deal. I’ll explain why below. In many ways, a 10.6 inch tablet for under $350 is a solid deal. The iPad 4 comes in at 9.7 inches and carries half the memory yet costs $150 more. You’ll pay $50 more for the Google Nexus, and that too is only 16GB of storage. However, this surface (apologies) level inspection only tells a fraction of the story when it comes to the Surface RT. It’s never possible to evaluate the value of a piece of technology on the bare tech specs alone though. For one, the so called 32GB model only actually has 15GB of storage. Therefore, we should be comparing this model against other 16GB tablets, as opposed to 32GB models. This is fragrant mis-advertising by Microsoft, who are serial culprits in this area. This is essentially no different to claiming that your tablet has a 10.6 inch screen, yet 4 inches of it are inactive. In that case you’re comparing a big screen tablet to an iPad mini, all of which is a bit like comparing chalk and cheese. Another area where Microsoft mislead is around the keyboard. Hands up if you’ve ever seen a picture of the Surface without a keyboard? 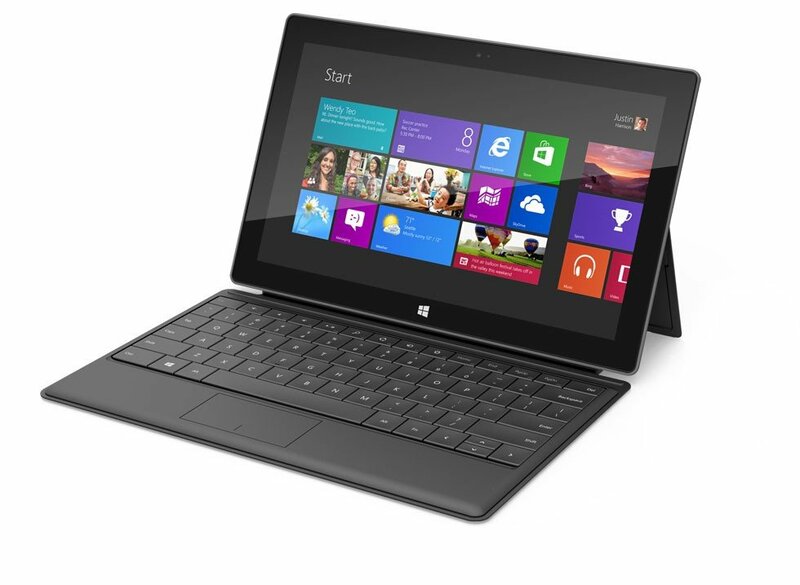 The whole proposition is built around the tablet plus keyboard synergy, yet this $349 model does not include one. Unlike other tablets, the whole Windows proposition is built around productivity. The ‘sell’ is that you can use this as a work device, whereas keyboard-less tablets like the Nexus and iPad re only really good for content consumption. Heck, the Surface RT even comes bundled with Office Home and Student 2013 to really hammer home the productivity point. By the time you add in the (pretty much essential) keyboard, you have added an additional £120 to the bill, landing you just shy of the iPad price. 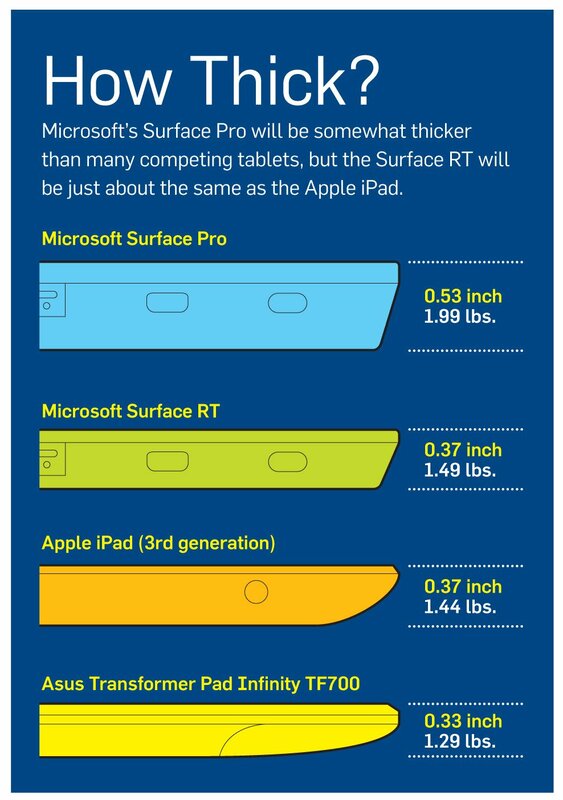 Whilst you can certainly argue at this stage that the Surface RT is more equipped, certainly from a productivity point of view, it is also fair to say that the Surface RT is not a cheap proposition. If in the interests of fairness, we are left comparing the Microsoft Surface RT with the iPad 4, then the proposition starts to look bleaker for Microsoft. For one, the app situation remains dire on Microsoft. To put it bluntly, there aren’t any. Last May, they passed the 60,000 app mark. So yes, you do get some of the most popular apps – think Netflix, Evernote etc – but you get nothing like the competitive and innovative app store on iOS. Perhaps one of the aims behind the price cut, and subsequent expected sales growth, lies in attracting app developers to create apps for Windows 8. Whilst this is possible, I would net bet a dime on it. Mark my words, the price will be cut again just before Christmas, which reminds me of the ill-fated BlackBerry Playbook making its lame final stand. We’re not short of great tablets across iOS and Android at the moment, and I struggle to see why investing so heavily in a Microsoft Surface RT at this time makes any sense at all. So should you buy the Microsoft surface RT? Sorry, no deal.